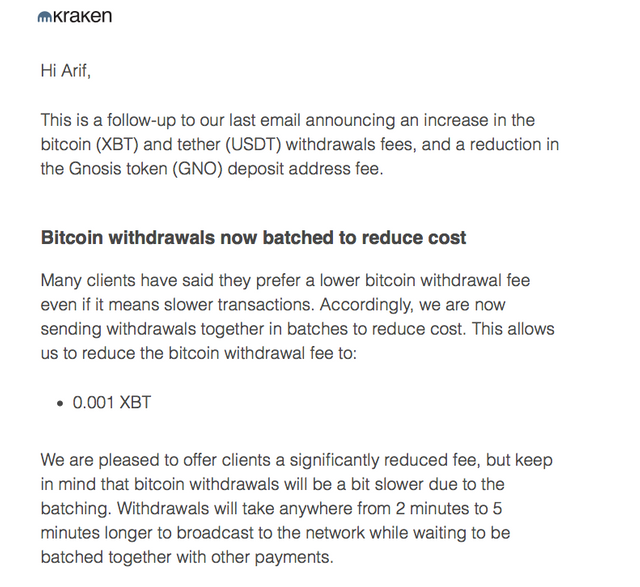 The Kraken Exchange is increasing its withdrawal fees for certain currencies including bitcoin. In view of the problems with Poloniex (which I have posted on previously) I have been taking my trading coins off that exchange and looking for other exchanges that I can use. Obviously Bittrex is one - but I don't like keeping "all my eggs in one basket". Another exchange I have looked at is Kraken. I just received a message from them that they are raising their fees. Bitcoin (which they call XBT) - will rise to 0.0025 fee (roughly $6.80 at the current USD exchange rate). Gnosis (GNO) - will be 0.004 GNO. US Dollar Tether (USDt) - goes up to 5 USDt ! The bitcoin change is to be expected given the backlog we have due to scaling issues. If you have tried to send BTC recently you may have found that fees that resulted in instant sends in the past can now take hours to clear. This will only continue to get worse. I didn't realise that USDt uses the bitcoin blockchain and is so at the mercy of those same fees. Seeing a $5 fee really puts the rising costs of bitcoin transactions into perspective. I suspect USDt might need to look at a blockchain change if there isn't a fast resolution to the scaling issues. If you can only use USDt to make big transactions then one of its potential use cases (one with a large potential market) goes out the proverbial window. As for Gnosis - I don't have any and don't plan to have any. I never say never but their whole ICO process made decide to give the project a wide berth, plus I am already invested in a lot of ETH tokens and that makes me a little uncomfortable. 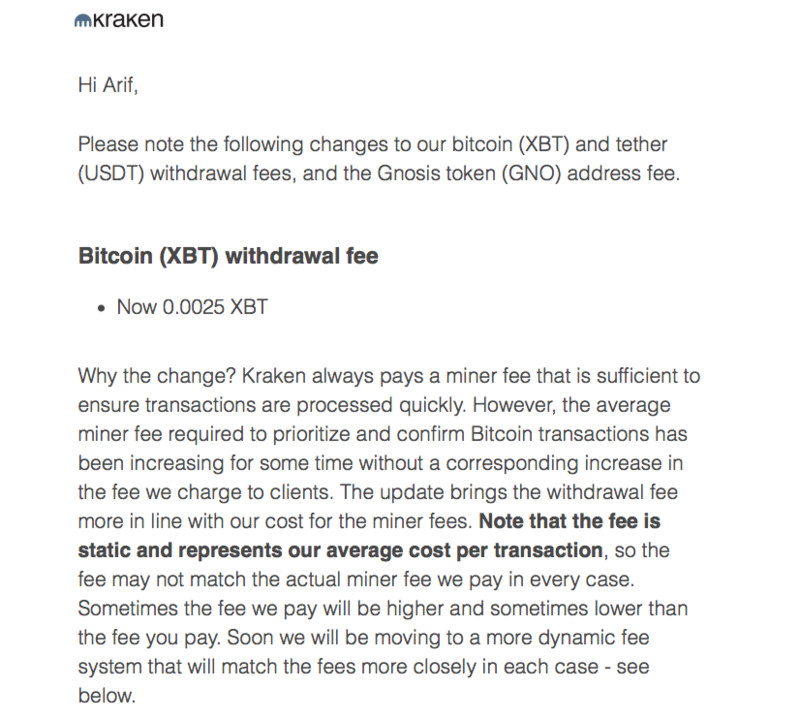 Now that Kraken have raised their fees I suspect it is only a matter of time until the other larger exchanges follow. "In the near future network fees for bitcoin and tether (and possibly other tokens if needed) will be updated dynamically to better match the fee to our costs. The fee may change each time you withdraw, so if you want to know the withdrawal fee you should check it each time you withdraw. You can find the current withdrawal fee for any asset by navigating to Funding > Withdrawal > Asset in your Kraken account." This also makes sense and I suspect eventually all exchanges will need to look at something like this. It is just not practical to manually change fees every time there is a price change. This shows how useful the zero fee model for Steem and SBD is. SBD certainly makes a lot more sense for sending money right now than USDt. I suspect that people were not pleased about the previous rise. This seems to be a compromise solution - how long it will be viable remains to be seen. Are you new to Steemit and Looking for Answers? 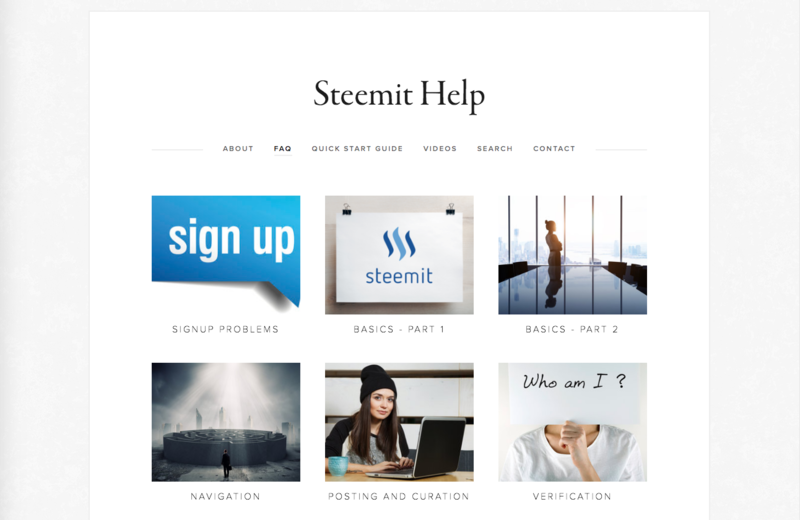 A collection of guides and tutorials that cover the basics of Steem and Steemit. Follow me Steemit & Twitter. 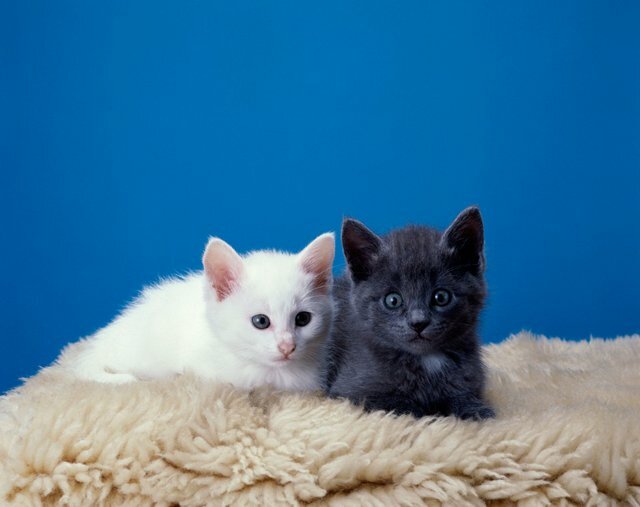 All uncredited images are taken from my personal Thinkstock Photography account. More information can be provided on request. Could usdt use there own blockchain? They could, but it would be easier to shift to a pre-existing blockchain. The reason for using Bitcoin is presumably security. Dynamic fees would certainly help with the pending withdraw situation. That was one of the most common complaints in the trollbox. Do you mean on Poloniex? I don't think they said that was the reason for the manual confirmations but it could be. Had never considered that. Yes security was the main reason, however dynamic fees would help speed up the process. Great point right at the end about the efficiency of SBD. Ironically, the scaling issue with BTC is not all bad for Steem, as it gives it a comparative advantage. At least, for now. Definitely. In fact I think the previous rise in demand for SBD seemed to coincide with the banking difficulties that USDt was having. People switched to SBD as an alternative and it seems many did not switch back as the demand has continued to keep the price above 1 dollar. It's honestly only those somewhat-closely following the crypto space who understand the current fee-scaling issue with BTC. I know a number of people with some interest in the space, but no idea of the actual relative inefficiency of BTC at the moment - for small transactions, at least. A fee-less structure is the only way to enable a large volume of sub-$1-$5 type transactions, which I suspect represent a high proportion of the Steemit ecosystem. You're right. One of the things I find interesting is that in the short term at least miners have no incentive to support a larger blocksize. It is more profitable (at least right now) to have small blocks and high fees. This is in opposition to the longer term interest of everyone as more and more people get priced out of bitcoin transactions. It is a paradox of sorts. Damn, this btc fee is getting crazier and crazier. I'm quite happy with kraken. Although these days a lot of the transfers I make between exchanges seem to be with ETH because its cheaper and confirms faster. Yes I have heard others do similar things. A few times I have used LTC which is still quite slow, ETH is nice and fast, I've also tried SBD which is the absolute fastest but it depends on how much liquidity there is on the exchange for the coin as you may end up making a small loss if you don't want to wait and there is a volatility difference. I only use it when speed is important, so I guess it's mainly for that. Only ETH that I hold anyway, the exchange fees of like 0.25% or so are usually higher than the network fees. Issue is, its only going to get more expensive as prices rise... BTC is certainly not a transactional currency in its current form. Absolutely and the thing is, as long as altcoins are traded in Bitcoin (and not directly from fiat) it is going to slow down adoption in the whole cryptocurrency ecosystem, since it acts as an absolute limit on the amount of capital that can flow in. Try DODGECOIN to push to other exchanges and just sell when you break even or preferably a tad higher. Its super fast. Besides speculation that's all I use DODGE for. It really is a sleeper, and a great coin all around. When money starts rushing out of the $1.4 QUADRILLION fiat market, I believe DODGE will pretty easily move to $2.00, and it can handle all of the traffic for daily use by a huge population. Also withdrawing it and storing it on EXODUS or a HARDWARE wallet that uses SHAPESHIFT. Just change from DODGE to BTC when BTC drops and DODGE goes up, which is all the time. We will all be rich regardless, these are just 1st world problems. Just my two sense. Doge at moon, Such Coin, Much Bagholders in the future! Interesting. I honestly haven't looked at DOGE in ages. It was one of the first coins I mined after Bitcoin and Litecoin. I will look into it again. I personally like poloniex more as I don't get to use kraken (the verification thing took like forever) so far I'm satisfied with poloniex, the fee is average as I know there are exchange platforms that charges 3% per deposit, so if any of you gets tired of waiting kraken to verify u, definitely try poloniex. Poloniex has major problems and I don't see them getting better. What were your issues with Poloniex? Can you link your other post on the subject? I have been slowly removing all my coins (the ones I use for trading) across to Bittrex and temporarily to my local wallets until I can find some other good exchanges to use. I don't feel comfortable trading on just a single exchange because of the risk of something going wrong. Thanks for the info. Will have a read! Bittrex UI isn't great but in my experience I have had less issues with them. Also, I think you might value in the information in this report, I have been reading through it, there is a lot of great insight into the crypto sector! 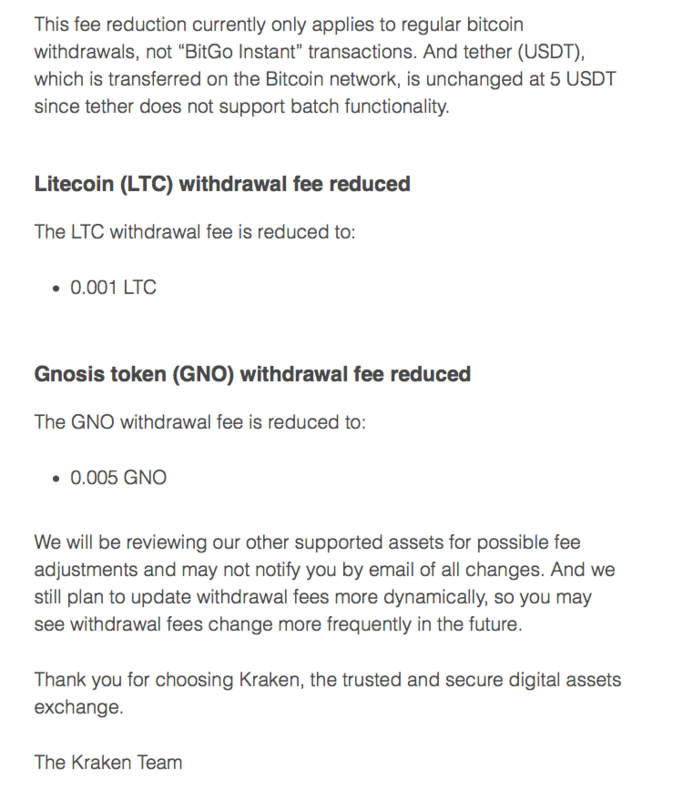 Interesting about Dynamic fees, Thanks for keeping us up to date! Another great post @cryptofriend! Thanks mate I will take a look. To be honest it is hard to keep up with all the developments these days. Steemit is my main source these days for crypto news! I feel the same way! I do my best to post any big updates, but there are so many, I cant keep up! That is why I am so grateful for other Steemians like you, that put out great content all the time! I have ditched reading several news sites because Steemit has such great content, if you know where to look. The report is really fascinating it is a 124 page pdf, lot of cool stuff inside. Thanks I only post on crypto news occasionally - I normally follow @kingscrown , @joseph and @ats-david etc. for that kind of material. Feel free to send me any big updates you have in the chat and I will try to spread the word am always on the look out for more news sources and investment news. You also resteem a lot of interesting stuff! I just followed all those accounts, already followed Kingscrown. Thanks, I will keep that in mind! Same to you. Very bad Kraken, they have defrauded me. I look forward to a decentralized exchange that is good. This isn't really their fault. What happened to you? They have multiplied by 5 the withdrawal fees of bitcoin! Have they? I haven't used them in years so was not sure what it was now. I received an email today informing about the increase in fees. Don't know if a 'good' exchange exists.. I only use Kraken for Fiat withdrawals, so that's extremely rarely. They charge a really small amount for it so that's good. Their ETH withdrawal is still quite cheap so I might be using them in the future. The other day, an ETH withdrawal from Poloniex took me almost 4 hours to complete. Polo are a nightmare for anything. I have been slowly removing my coins off their (in really small increments) to try to avoid triggering their manual withdrawal verification. That took 5-6 days last time! Lol yes DOGE is the future! Good to know, I took out my Bitcoins from Bitrex and the fee wasn't pleasant discovery! Thanks for post! Blessings! :) Followed and upovetd! Good post. Watching and learning! Bittrex , I understand, has been fine so far. Bittrex is good but I suspect they will need to raise their fees soon too. A couple of weeks ago I had a Bitcoin withdrawal that took 24 hours to get to my wallet. Bittrex has been the best for me and I have tried most of them but they will all need to increase fees otherwise they will lose money or get lots of angry customers asking why their withdrawals haven't cleared. That is always the hard bit. I feel regulation is coming. Not sure if it's good or bad for us end users? Not sure about that - it is possible - just look at New York and Bitlicense. this scaling issue can not be resolved soon enough ! I think it will. We just need to keep spreading the message! The transaction fees are getting ridiculous. I must have ordered some stuff from a "BTC Accepted" site a while back. I remember placing my order and waited for it to go through... And waited... And waited still. The next morning I asked customer support with the deal was and they said this type of thing was a rare occurrence. Anyways, it finally confirmed a whole 30 hours later! I was shocked and blamed myself for using a low fee (at the time only a few pence). Fast forward to today and a few pounds is not unheard of. Where is this all heading, my friend! Otherwise, hope all is well. And again, beautifully presented and informative article. Yes it is getting crazy. Nice to hear from you! it was really good to read your post! It's only a matter of time before a bank like PayPal which is tech minded comes out with a fast and efficient exchange. These other small time guys are running in some office space somewhere. Paypal has the capital to put up the hardware to get this done WHILE at the same time making bitcoin adoption among the public go mainstream. DON'T THINK IT WILL HAPPEN? They are already talking about it. It's just that Paypal are a terrible company. I hope someone in crypto does it before they do. Oh cmon. Every company has its issues. My company has been using Paypal for most of our online transactions for over a decade....very little issues. And these other small crypto currencies don't have the capital for the hardward to process the transactions. Paypal does. Keep this in mind, If PayPal comes out tomorrow and starts accepting bitcoin and sets up an exchange to people can trade USD for BTC and vice versa, you will now have MASS Adoption of crypto among the public and that is a BIG win for STEEM. We need someone Big to give this movement validity among the public who has no idea what is going on. Of course. How they deal with those issues is what makes them good or bad. It is great that you have not had issues. #Kraken has hired Mary Beth Buchanan, a former federal prosecutor appointed by President #George W. Bush to serve as its general counsel. Seems you were "about to start" a lot of similar discussions in order to spam your website links. Have a flag.